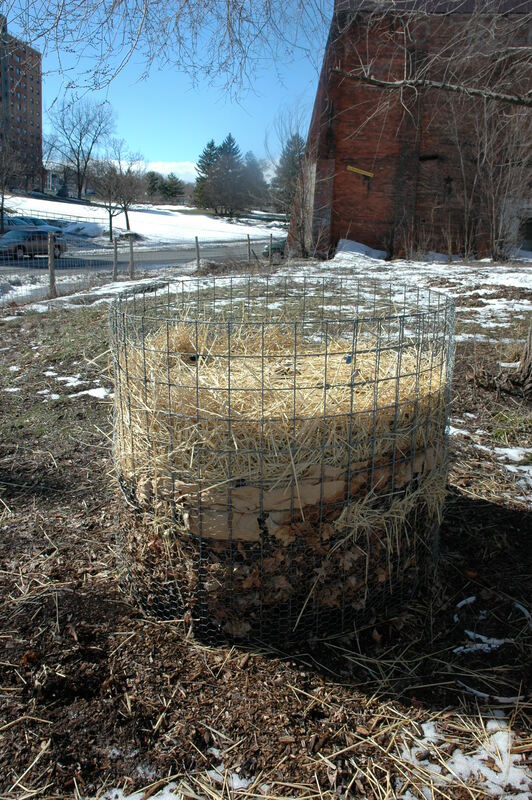 A month before this picture was taken, when the cold winter was still in full swing and the ground was covered in snow, the temperature inside this compost pile was 90 degrees F! 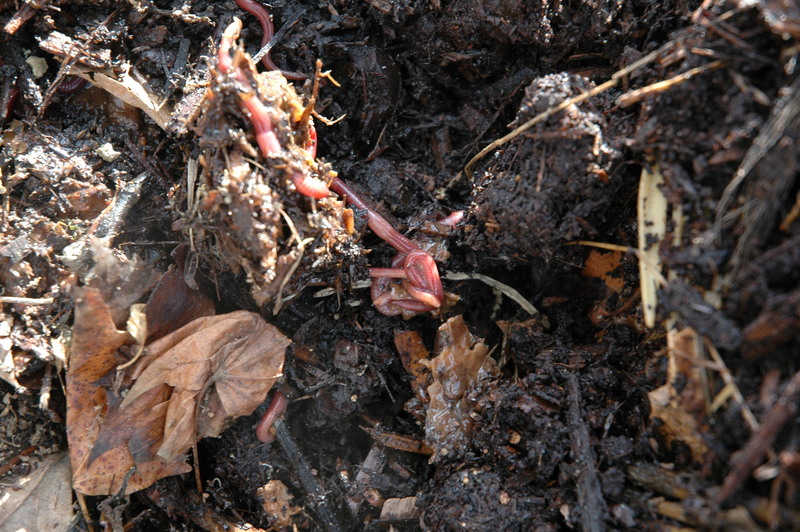 Last fall, we put a few handfuls of red wiggler worms into a passive compost pile. Added to until the fall, the pile was left dormant over the winter. Today we opened this pile – and found many red wiggler worms that had survived the harsh winter! The pile was not too active- it still had chunks of ice in it. The worms found the warm spots, many were concentrated on the southern side.